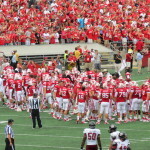 Gamedays in Madison have provided a wealth of memories for our family for years. 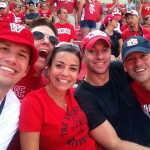 My brother graduated with a biochem degree in 1996 and my father treated UW like his own alma mater despite his Marquette degree. 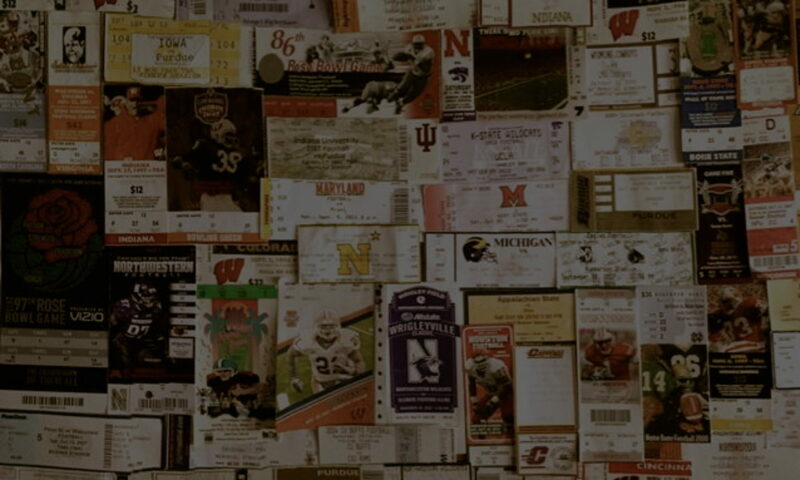 Madison, the Badgers, and Camp Randall coursed through their veins and the feeling was contagious within the family. With Wisconsin’s opener against UMass landing precisely on August 31, it was easy to imagine the scene had my dad still been with us. 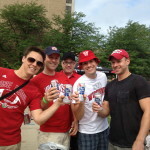 Needless to say, the Badger game would have somehow been incorporated into the festivities. So, I chose to make “what would have been” a reality. 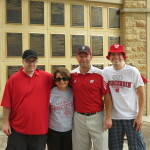 I coordinated the entire family to converge on Madison for a weekend highlighted by the opener in Camp Randall. 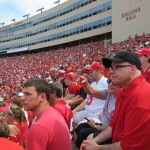 The game, however, was not the highlight. 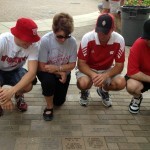 Over the spring, I worked with my siblings to have a brick placed outside Camp Randall honoring both my father and brother – “two great Badger fans.” Everyone in attendance was in on the surprise except for my mother. 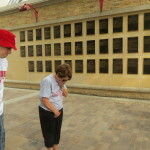 As we neared the brick walk outside the Wisconsin Hall of Fame adjacent to the stadium, I rushed ahead of the clan to locate the brick and conceal it with my feet. My mother, oblivious to all, suddenly became aware of what was about to happen and all of us stopped to take in the moment. I spoke a few words and revealed the brick. It wasn’t long before tissues were being passed out and hugs were being exchanged. The moment fell perfectly into place. What happened next couldn’t have been predicted. Out of the corner of my eye appeared a familiar figure that defined my days as a UW student. 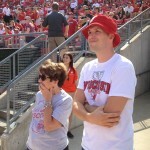 He led Wisconsin in glory days that have left indelible marks on the memories of all Badger faithful. My father ranked the game where he broke the NCAA record for rushing yards as one of his all time top sports moments. Heisman trophy winner, Ron Dayne, found himself in our celebration by absolute circumstance (but, it’s hard not to think that my dad and brother had something to do with it). 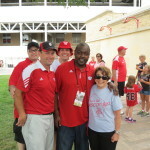 Ron Dayne graciously took a few photos with us and we all walked away from the moment dumbfounded. I would have been thrilled with all that occurred up until that unpredictable happenstance. But, certain moments deserve an extra boost. We will never forget those brief 20 minutes. 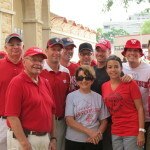 Oh ya…and it was new head coach Gary Anderson’s first game with Wisconsin! 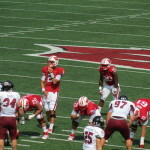 Fans still holding a grudge about Bret Bielema’s abrupt departure to Arkansas were provided a moment to breathe easily as the Badgers trounced UMass 45-0, adding a dose more perfection to an already perfect day. 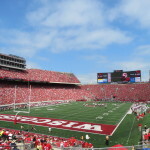 The late summer sun cascaded down on a Wisconsin win and a new Badger era. An afternoon of beers on the terrace and strolling along State Street ensued capping off a brilliant summer day while opening an autumn full of anticipation. Ron Dayne joins our celebration. 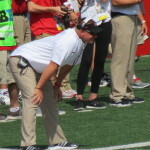 Coach Andersen looks on during his first game as Wisconsin’s head man. 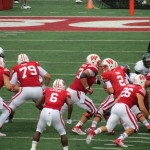 The Badger offense picked it up in the 2nd half. 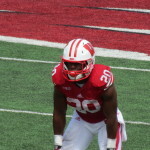 Clement was the 3rd running back to break 100 yards for Badgers today. 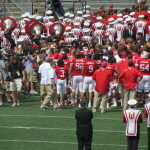 Coach Andersen’s newest tradition – singing “On Wisconsin!” postgame.